The Orangery Village - R2R Studio LLC. 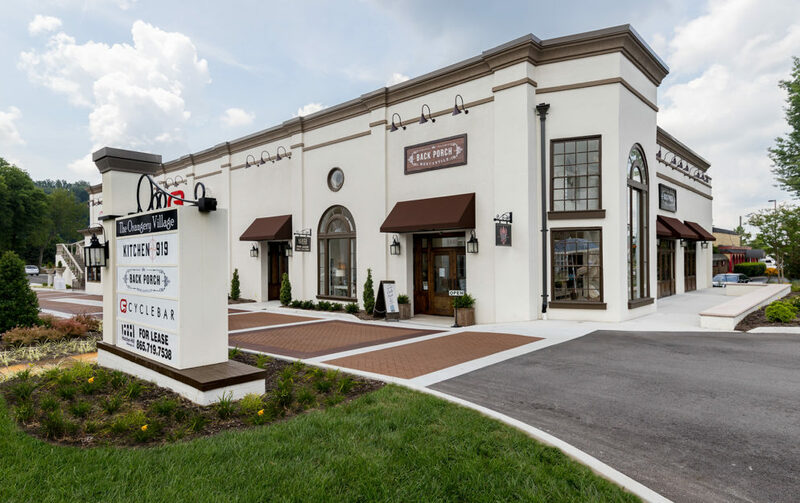 The Orangery Village is the redevelopment of a beloved building located on Homberg Drive in Knoxville’s Bearden area. The name is derived from the original tenant, The Orangery, a local favorite restaurant and event venue popular since its opening in 1971. While the building and restaurant celebrated many successes over the decades, it came under new ownership in 2016. The new owners determined it was time for an update to encourage younger generations to visit and to bring something new to those patrons who have a longstanding history with the building. 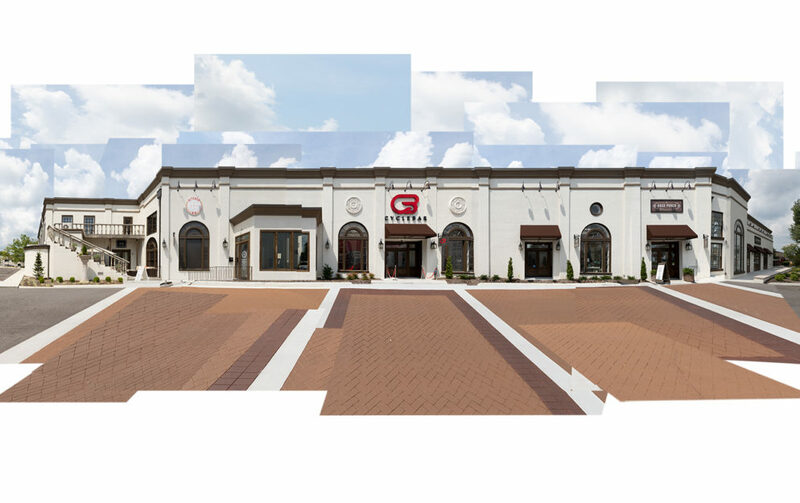 Interior renovations involved extensive structural changes to enlarge the individual tenant spaces and provide each tenant with exterior storefront. The original layout provided access to seven small tenants, six of which were accessible only from an interior atrium. The new concept provides direct access to four, large tenant spaces, further celebrated by an exterior promenade. 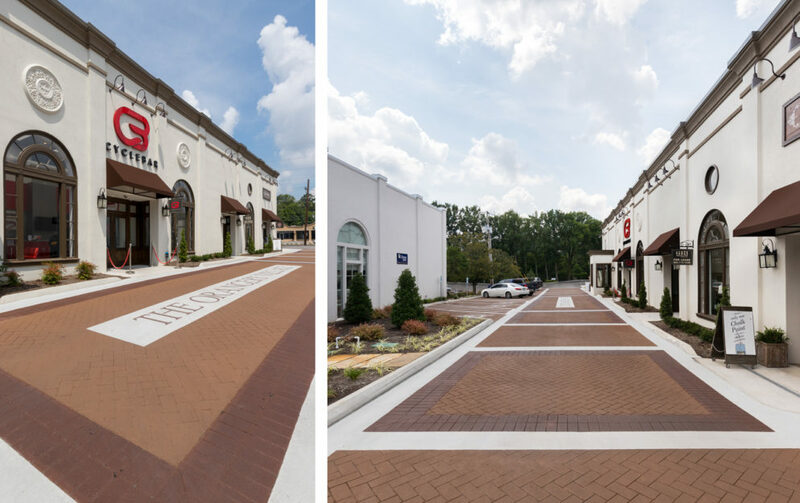 The promenade is defined with a stamped asphalt paving pattern to help identify entry, encourage pedestrian use, and slow vehicular traffic. The pattern and colors were inspired by historic streetscapes, with an inlay bearing the development’s new name at the center of the aisle. New exterior signage was also installed at the entry to further define a welcoming approach to the building. On the building facade, efforts were made to maintain many elements of the original French-inspired design. The original finish was revitalized with a fresh color palette and entries were reconfigured to allow for larger storefronts. 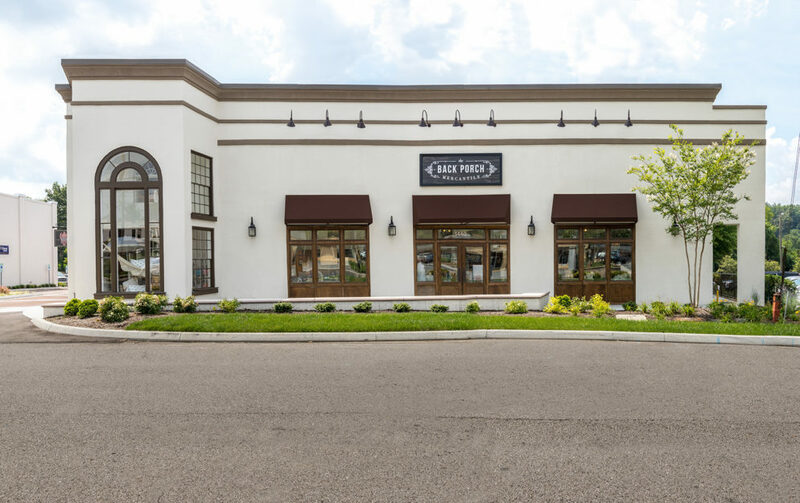 New wood framed storefront was added to the elevation facing Homberg and Kingston Pike to create a warmer, more inviting face to the primary street. The wood framed entries were also continued along the elevation facing the promenade, following the rhythm defined by the building’s original exterior piers. 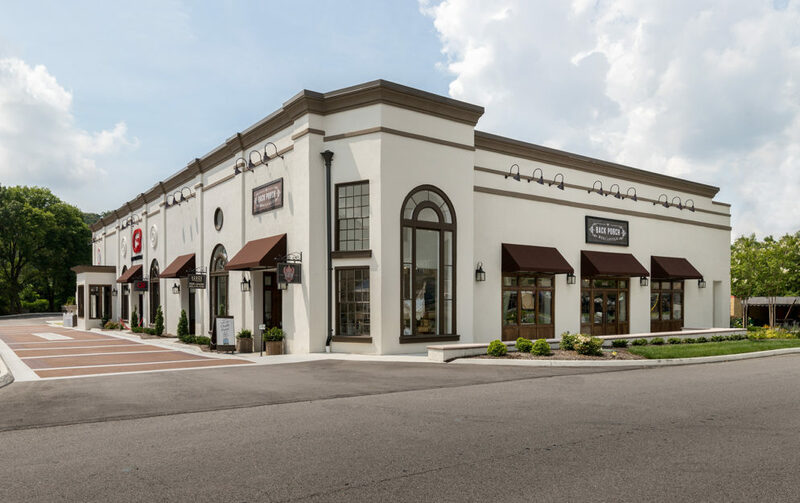 The Orangery Village is now home to The Back Porch Mercantile, AR Workshop, CycleBar, and Kitchen 919.